Shynna Key | Just Because Your Not Born With A Silver Spoon In Your Mouth Doesn't Mean You Can't Get One. Just Because Your Not Born With A Silver Spoon In Your Mouth Doesn't Mean You Can't Get One. The featured photo is of the prison unit I, Shynna Key- The Financial Fanatic was afforded the opportunity to lecture on Friday June 1, 2018. I added value to the lives of inmate mentors & mentees of Cheshire Correctional Institution T.R.U.E unit about financial literacy. I spoke two days after the Channel 3 News and Governor of Connecticut, Dannel Malloy took a tour of the first successful special unit at a maximum prison in the states of almost two years, January 2019. T.R.U.E. stands for truthfulness, respectfulness, understanding, and elevating. This is where younger inmates are learning from those who know the most about the prison life. The program was established to help younger inmates rebuild their lives. The mentors come from a similar group called Lifers that was established and well organized while in the general population. June 1st changed my perspective on inmates and how they would intake financial literacy. After that big door closed, the correctional officer and supervisor of the unit said “after you give your speech you will be taken on a tour of the unit by your brother and see where your brother have been housed since the program started. He has been incarcerated for almost nineteen years. I instantly broke down and cried. That was a very emotional, heartfelt moment and a surprise at the same time. Needless to say I have been in the visitation room before but to actually go beyond the walls, I had to come to grips and pull myself together as I took that long walk to the unit. Until that day my audience were not inmates. It was not until I was informed by the Correctional Officer that I was the first independent Author/Speaker to come speak at the prison about finances or of any topic to be precise. From that day forward I took on inmates to be my next target audience. Why? Because inmates need financial literacy too. They are not going to be incarcerated forever. As most of the mentees and mentors have purchased my book, Wealth is a Mindset and the book is in the prison library, they were already familiar with my message that “Just Because Your Not Born with a Silver Spoon in Your Mouth, Doesn’t Mean, You Can’t Get One”. My message is important to the inmate mentors since they have created and have been utilizing a currency system for their adult daily living expenses! Even though they were not aware of a few strategies they could utilize while awaiting their EOS (end of sentence). One tip especially gave the inmates and staff a wow moment was, if they have a loved one that have good credit whom would be willing to put them on their credit card as an authorized user, will help establish their credit while incarcerated. That is called piggybacking. I did a fun exercise on silent income killers which each income killer take up 1/3 of their income. I motivated the inmates on how they can use their time wisely and act like entrepreneurs making a blueprint for their return, as I know a few ex-cons that have come home and turned out to be gold minds and successful business owners. Much gratitude goes to the incredible mentors that thought highly of the mentees and their return to society, they agree to put the proposal in for, Shynna Key-The Financial Fanatic, to give the group a lecture on financial literacy! I am grateful and thank Scott Erfe the Warden of Cheshire Correctional Institution for the opportunity to speak to the new special unit! The staff and the inmates were very welcoming and interactive with tons of questions that I was honored to answer. Empowering You To Build Your Empire! For more information become an owner of, Wealth is a Mindset today! Wealth is a Mind$et is your GPS to Building Your Empire! People all over the world is talking about this bout on how this book is not just a book but a workbook and journal all-in-one. Wealth is a Mind$et covers everything underneath the financial umbrella in 12 thrall chapters. We are living in an epic period of change, danger and opportunity. The economy is crashing and booming every few years. People are getting fired and replaced by computers. Every “fix” from the government makes things worse. “Wealth is a Mind$et” contains answers. This is the field guide to the “New World” we live in. You can play by the old rules and get left behind, or you can use these new ideas and become wealthy. This book will help recondition your mindset. Sometimes the truth is hard to take. But for those who are ready to hear, I updated map of the new territory for generating wealth and financial freedom. This book is the eye-opener of the century, it is the guide to building, keeping, and investing your money and breaking free from the chains of rusted, old thinking. If you follow the beliefs, philosophies, and strategies of the rich and take action, you have a legitimate shot at becoming a millionaire. The secret is not in the mechanics of money, but in the level of thinking that generates it. Once you learn to embrace this, your earning potential is limitless. After you read Wealth is a Mind$et you will be off to a new start with my Key’s Tips and Tricks. The greatest successes of your life are still to come; You’re Your Most Valuable Asset. Let’s focus on building your economy first since you are in control of you vs the economy which you have no control over. For more information become an owner of my book, Wealth is a Mindset today! “Wealth is a Mindset” was an easy read and speaks to the journey to financial freedom and wealth. I love Shynna’s story relative to how her father would make sure she was around when conducting business and how he taught her at an early age about creating wealth. This book can definitely add value and shift your mindset into the right direction in the most simplistic way. Kudos to you Shynna! Thank you for sharing your knowledge with everyday people such as myself. Many times we dont realize the importance of financial freedom or crisis we are in or could be in. However, using this book as a tool and start to financial wealth for years to come. Thanks for this amazing book and wealth of knowledge. Keep up and inspire more.. I really like this book, it was an easy read and explained things in layman terms for everyday people like myself. I will certainly be looking for other books written by the author and hope she keeps up the great work!! So Cardi B has a new hit single out and everybody including children are signing “I Make Money Moves”! Brilliant hit line I say! Well, I am so ready to start seeing all the new money moves being made in our community! The black community needs an economic lift. Majority money in the black community is money being spent, not made. The sad part about the money being spent, is that the money is being spent in every other community and with all other race groups, even the ones that don’t even like you or wouldn’t want anything to do with you but your money. Without the black dollars they wouldn’t stand a chance in sells, especially the Asians. Let’s face it, the black community looks good for sure as far as the outside appearance for the most part. If asked 1 out of 100 maybe one would actually have their finances in order and possibly own something, as in a house, liquid assets, assets, stocks, bonds, annuities and/or a business. The list can go on. Wake up and Make Money Moves for real. I think now is the time to utilize this new hit single to its fullest potential since a good number of people in the black community don’t start, like or do something until a rap artist or celebrirty say so. For starters ask your child or children what does money moves mean to them, what money moves would you like to make? Here are just a few of my Key Tips & Tricks I say you can start to make if you have a child that likes social media so much and takes lots of pictures, have them model items and sell them online. Now that will teach them to make money move with an online boutique. Social Media is the center of all sells just about so If your child cut or do hair make sure that they take tons of pictures of every client and post them on social media and use hashtags of their line of work. If your child is crafty let them make holiday baskets and cards, t-shirts with them lingo that they say in school, yard work, dog walking. Let’s get back to even just the basic’s when we had whatever we needed right is own community to go to. I also say yes to even getting them business cards made. Let’s teach the children of the future to utilize the social media and other outlets so they can start to establish some type of business before they graduate from high school and feel forced after college or while in college to have to go beg for a job from the business owners that won’t pay them equal pay as their own people. We don’t have equal rights or equal pay yet, so we have to create our own. You see what’s going on with even the sports teams right now. Know for the record that when I speak, I speak on the majority, because majority rules. For the record I’m not racist I’m a realist. I practice love not hate. Learn to Make Money Moves by purchasing the book, Wealth is a Mindset Today! If your interested in making Money Moves by letting me Empower you to Build Your Empire follow me on all the social media sites including YouTube! Contact me at shynnakey@gmail.com if your ready to take action! Are you taking the necessary steps and action today for a brighter future? Most have trouble looking into the future. Most look at life as in YOLO (you only live once). Please through that thought out of the window. You have to stop being selfish especially if you have already started bringing children into this world. It’s not about you anymore so when you think of how you’re going to provide and support your family don’t be lazy and just do enough to survive. Children don’t understand the words no, not right now or I just can’t. They didn’t ask to be here. Now if you are using this lingo it should only be acceptable if you are sacrificing for a short period of time in order to reach a goal. Remember that you shall work on accomplishing one goal at a time so there won’t be a long-term strain on the family with constant no’s. Once a goal is accomplished take the time out to give gratitude and celebrate. Converse with your children about the goal that you are working on so that they will know the reason for some cut backs. They may not fully understand now but at least you will be instilling in them some goal setting skills. That way it when be a memorable, self-educational story that your children can share with their children when they start a family. For instance I just went through a one of those cut back seasons myself! It felt sooooo good to hear one of my daughters say “well, so what’s next? You accomplished the 2 latest things that you were working on, you brought another house for us, you guys brought another vehicle so what’s next”? That one questions puzzled me and put a huge smile on my face. The feeling inside was priceless! It felt good to know that my children were really paying attention to the sacrificing for the cause! I planted another seed! I’m also planting investing lingo into my children. Children are brilliant! They soak up everything so beware if you’re spilling out a lot garbage. Please share, sharing is caring! Let’s do it for the children! For more information become an owner of my new book, Wealth is a Mindset today! Get out….. You have a choice to get out of poverty. Do you ever wonder why or even how you end up in the position that you are in today? Well that was me once upon of time but not to certain extents. While on top, that question don’t even arise. You tend to only think about the why’s and how’s only when you get to a unfamiliar place in your life. There are 3 different types of human beings in this world, the Rich, the Middle-Class & the Poverty. Which one are you? Who you are determines the way your children will be for the most part as well as your children’s, children. You can preach all day about what they should do but the reality & saying is “Monkey See, Monkey Do” is the saying that I remember as I was growing up. I don’t know about you but I notice that children just about are running their parents now of days. They tell their parents what they don’t or do want to do. You see in stern households the children don’t have a choice until their grown and out from under their parent’s roof. For instances it used to be if the parents tell the children this is what you’re going to do or be that is what the children study and took up in school and they usually are well off than the children that didn’t have structure from the wealthy. Get out now. You see, if you stay living in poverty area’s that determines what crappy schools your children will go to and graduate from if they do graduate, then that determines what type of area they will live in, the type of wages they will make and it just keep trickling down to their generation after generation. It’s all about your determination of how much do you really want to make a difference for your children and grandchildren. Get out the system. You think it’s an advantage but it is really a disadvantage. There are subliminal reasons for the use of government assistance. You actually pay for their services on the back in with the type of lifestyle you get stuck in living. If you happen to be on government assistance don’t brag about it to your children like that is the right move. If you so happen to have a temporary hardship, get over the hump with the assistance and get out their web. It is not designed to help you get better or live better, it’s designed for you to get comfortable and lazy to keep you down and in the red zones. Studies show that the Rich teach their children wealthy habits and they grow up successful and happy with much fewer mistakes in life financially. Actually fewer mistakes even in their personal lives, why? Because they usually have a lot to lose than to be making foolish mistakes to risk so much that they have built. The morals of the wealthy is much higher. The wealthy will not hang around certain types of people, do or go certain places. They don’t take much risk. Studies show that children that are raised in the government system usually grown up with depression, unhappy, unsuccessful, poor and or either end up in all the other systems, such as juvenile, jail and in group homes. Those who are raised in Poverty Parenting households represent about 30% of the population in America. This 30% struggle financially, rent small homes, have infrequent, inexpensive vacations and are generally not well-educated. Poor parents pass along poverty habits to their children. This cycle of poverty perpetuates itself from one generation to the next and it is the reason the poor get poorer and the rich get richer. The third type of parents, Middle-Class parents, teach their children some rich habits and some poverty habits. Those who are raised in a Middle-Class parenting household represent about 65% of the population in America. Engage in 30 minutes a day of a daily career related reading. Live each day in moderation, spend in moderation, work in moderation & play in moderation. Save a minimum of 10-20% of your income & live off the remaining 80-90%. Are We Really Equal or Is It Still a Dream…? It’s still a dream. So, they say we are equal and have equal rights. We are not there yet. Now, yes we are all created equally but still not treated equally. Somehow most African American’s aka Black people, which is what they call us is still living in poverty or just right above it. I will tell you a few reasons why; this goes for the people that actually work, not for the ones that are lazy and sit on their tales. How can the majority of the African American race ever be equal? African American’s are not paid the equal amount for the same labor, men or women. There is no comparable incomes. That will always be the number one reason for the lack of living opportunities for African American’s. African American’s are also the only race of human beings that will be kept as a temp for more than 1 year. I have heard of a few even being kept a temp for 10 years. Now that is just a disgrace. Now, I must say you as a human being should not stand for that and don’t allow that. Just look how most employers have to be motivated just to hire an African American by receiving an incentive to hire someone in the African American ethnic group. Most African American’s have to work 2 jobs just to equal the 1 job of a Caucasian person’s income. Even if an African American household have the wife and husband working, it takes both of their incomes to equal up to one Caucasian person’s income. Now this is not a race card game, it’s a fact game. Numbers and statics don’t lie. Now that Trump is in office he wants to have a drug screen test performed on all of the recipients that get any type of government assistant in order to remain receiving their assistance. Now we all know that the majority of the people that get assistance from the government is African American’s, right? But, guess what, If they pass a law for African American’s to get paid equal to the Caucasian’s, African American’s wouldn’t need the government assistance just as the majority of the Caucasian’s don’t. The government would not need to find another way to kick the recipients off. The recipients will no longer be eligible if they made a sufficient amount of money to survive and not just barely making it living pay check to pay check. I encourage my children now not to look to the government for assistance. They will keep you in the redline area’s with everyone that gets assistance and have control over where you live, where your children go to school, who can live in your home and so on and so on. Government assistance is another form of control and to keep certain classification of people together. It’s not worth it if you ask me. That is another way to keep you living in poverty and your children going to low rating schools. 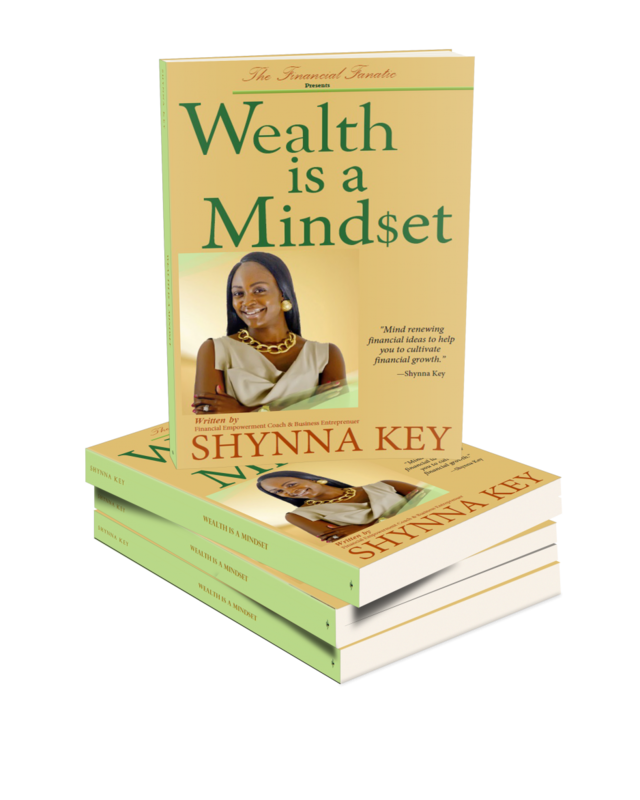 Get your copy of my book, Wealth is a Mindset today! I have decided to get schooling in how to become a Millionaire and be Millionaire Minded! Being wealthy is a whole lifestyle. Wealth is not defined as a certain race or ethnic group. Wealth is for all colors, shades, ethnic groups and religions. It’s all about the individual Mindset. They think differently. Making it happen in the next five years doesn’t have to be a fantasy. As I have been in my studies I have learned that wealthy people do things totally different. They eat different, such as caviar along with a ton of other foods that I hear other’s mimic and make fun of how they may talk and say things. The wealthy understand that health is wealth. Who in their right mind would be Wealthy but unhealthy? Most would like to stick around as long as possible to enjoy all that they have created. For intendance, look at Rick Ross, Oprah Winfrey and so many more celebrities that had to make a choice to become healthy. On the other hand average people don’t put much thought into health or wealth. The average have a lottery mentality and have been brainwashed to believe that the only chance to get rich is by picking winning numbers or playing slot machines. The rich, however, have trained themselves to expect big things to happen and earn more money. They’re bold, aggressive and fearless in their pursuit of wealth. What my studies have taught me about the wealthy, they look at their beliefs about money, success, prosperity very closely. Ask yourself, is that helping me develop more wealth and build my net worth, or is it holding me back? I think 95 percent of the population, in even the richest country in the world, have negative beliefs about money. Money is a tool to leverage what you already have and to gain more. Look at your beliefs and look at the beliefs of the wealthy and how they think about money. They see it as a game. They’re just playing a game, and they’re having fun. They’re moving things, and they’re creating value for society, and they’re getting richer all the time. It’s more about thinking about money in terms of abundance and opportunity and freedom and all the good things, such as good health. Money can save your life if you have enough of it, because you can pay for treatment for whatever you have. Failure, don’t be afraid of it, it only makes you analyze what you did wrong. Worrying about failure, however, holds people back from taking a chance and being successful. We shouldn’t be our own worst enemies. Look at the rich, they’ve brainwashed themselves with positive belief so they’re not as afraid to take the chances and risk. Getting rich is not a complex process.